I'm going to take a photo every day, and share it here. I can't promise I'll post one every single day, but I'll try. My goal is to find beauty in the ordinary. I've always enjoyed looking at wheel loaders. 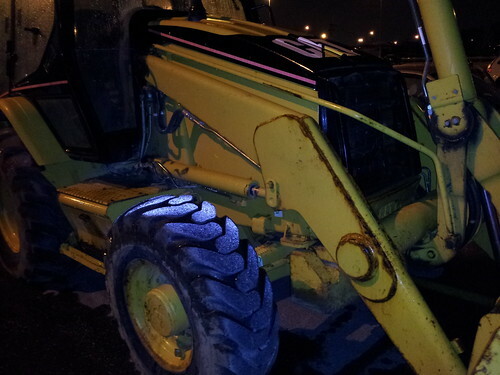 There's something particularly romantic about a parked wheel loader at night in the cold November rain.